If you want to know why your life is where it is today, look at your past habits. If you want to know where your life will be 10 years from today, look at your current habits. If you have a habit of eating junk food, it's going to affect your health. If you have a habit of procrastinating, it's going to affect your level of success. The difference between those who are successful in life and those who are failures in life comes down to what they do on a daily basis. Is it hard to go to the gym just once? Of course not. Is it hard to do it consistently for the rest of your life? It will be at first, but once that action becomes a habit, it's easy. Ask anyone who's working out for years if it's a struggle for them to hit the gym and they'll tell you it's like brushing their teeth, it's automatic. The point is simple. If you want your life to change, look at your habits. Create the necessary ones and eliminate the counter productive ones. Once you've done that, let time do the rest. If there is one thing that will change your life, it's taking action. Learning more is great but if you learn something and don't put it into action, it's pointless. One of the biggest challenges when it comes to creating a habit is getting yourself to stick with the actions until it becomes a habit. This is where having the right mindset comes in. When your mind is on your side, during those times when you feel lazy and would rather not do what you know you're supposed to do, you'll be able to get yourself to do it anyway. When it's not on your side, it will come up with the most convincing reasons to put things off. Anyone who had to wake up early on a weekend to hit the gym on a cold morning only to stay in the warm, cozy bed knows how convincing their mind can be. One way to get your mind on your side is to override it by constantly feeding your mind with empowering thoughts of action. If you want to make this year a great year and have basically been setting the same resolutions each year, perhaps it's time to do something a bit different. Instead of focusing on a resolution, focus on developing the right habits. One of the reasons why many people give up on their goals is because of disappointments, they don't get the results they were expecting fast enough. This could be due to a lot of things such as an unrealistic timeline or circumstances not within their control. If you instead focus on developing habits that will lead to the accomplishment of your goals, the results will be completely under your control. You'll either follow through or you won't. The beauty of it all is that once the habits are developed, it'll just be matter of time before you reach your goals. For example, instead of setting the goal of losing 50 pounds, focus on developing the habits of exercise and proper diet. When those habits are a part of your everyday life, not only will it become easier as time goes by, you'll also keep the weight off as well. This is the power of habits, whether good or bad, the actions are near automatic. If you can align those habitual actions towards an outcome that you want, slowly but surely, your life will change. So drop the resolutions and pick up some good habits. “Control yourself!” People say it to you and you say it to other people. More important, you say it to yourself. Sometimes, most of the time in fact, you control yourself. Other times it’s difficult, if not impossible, to reign yourself in. You find it hard to stop doing whatever it is that you’re doing. You might be talking too much, eating too much, or watching too much Doctor Who—though that might not be possible. Why is that? Why can you sometimes control yourself and sometimes not? Why can’t you control yourself all the time? Your will-power is limited. You only have so much of it and, when you’ve used most of it up, controlling yourself gets hard. When your will-power is low, you’re like a hungry dog let loose in a gourmet kibble shop. The next morning, the friendly experimenter escorts you into her laboratory. The smell of freshly baked chocolate chip cookies overwhelms you. The experimenter seats you at a table. 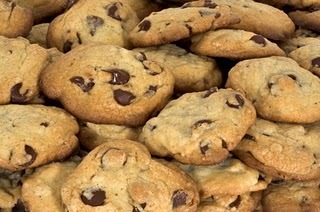 In front of you are a plate of freshly baked chocolate chip cookies. Your stomach is growling. 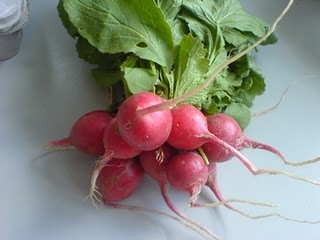 There is also a plate of radishes. The experimenter asks you to taste-test the radishes. You are not to taste the cookies. In fact, don’t even touch them! No cookies for you! She leaves you alone in the room. You dutifully taste the radishes and resist the urge to grab a handful of cookies. In fact, you go through the entire session without touching a single cookie. Good for you! Upon her return, the experimenter says, “I wonder if I can ask you a favour. A friend of mine is having trouble recruiting subjects for his study on solving puzzles. Could you help him out?” “Sure, why not?” you say agreeably. She introduces you to the second experimenter. He takes you to his lab and gives you your instructions: You are to trace a complex figure without lifting your pen off of the paper or doubling back on yourself. If you do either of those things, you have to start over. You are to continue until you solve the puzzle or give up. He starts a stopwatch as you begin. You are having trouble solving the puzzle. Undeterred, you press on. He says, “All will become clear in a moment. First, though…” To your surprise, the experimenter from the taste-test study enters the lab. You learn that the two studies were, in fact, one study. Those sneaky psychologists! The experimenters think that exercising self-control—by resisting the urge to eat chocolate chip cookies—depletes will-power. The experimenters expect that subjects who resist eating chocolate chip cookies won’t have much will-power left. You learn that other subjects were told to eat the chocolate chip cookies, but no radishes. Poor them! Those subjects probably didn’t need to restrain themselves from eating the radishes. They should have more will-power left after the taste-test. They had cookies. So, what was with the puzzle? Trying to solve a difficult puzzle—especially an unsolvable one—is extremely frustrating. It takes will-power to control that frustration and continue on in the face of adversity. So, subjects who ate the cookies should have persisted longer at the unsolvable puzzle than did subjects who ate the radishes. And that’s what the experimenters found. That study, and dozens of others like it, show that people only have so much will-power. When you have to control yourself, there is less will-power available to you. This fact is a good one to know because people who lose their will-power often do things that they would rather not. They become aggressive, sexually impulsive, or start thinking that the later seasons of Star Trek: Voyager weren’t as bad as everybody says.